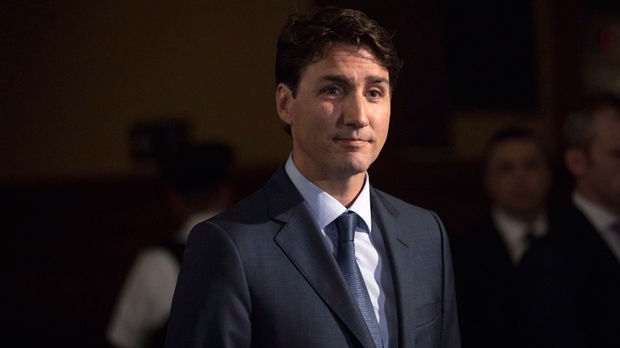 Prime Minister Justin Trudeau says there is no need to conduct an investigation into an allegation that he inappropriately touched a female reporter in British Columbia 18 years ago. On Aug. 4, 2000, a then 28-year-old Trudeau was in Creston Valley, B.C. to participate in a festival when he allegedly had an improper physical interaction with a newspaper reporter who was covering the event. A woman who identifies herself as Rose Knight, the former reporter, confirmed Trudeau apologized a day after the incident occurred in a statement. In the statement, she also confirmed she was the reporter that was referred to in an editorial written in the local Creston Valley Advance 18 years ago. “I’m sorry. If I had known you were reporting for a national paper, I never would have been so forward,” the editorial said of Trudeau’s apology. The statement regarding the incident was released on Friday. Speaking to CP24 on Friday, Trudeau said he didn’t recall improper behaviour on his part, but apologized anyway. He indicated the incident should serve as part of the ongoing discussion about appropriate conduct. Trudeau addressed the statement issued by the former reporter while speaking in Calgary on Friday evening. Since 2014, three male Liberal MPs – Massimo Pacetti, Scott Andrews and Darshan Kang — have been removed or resigned from caucus over allegations of sexual harassment or misconduct. A fourth MP, Kent Hehr, resigned his post in cabinet over allegations of harassment.